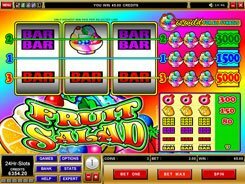 This is a 5-reel non-progressive slot with 25 fixed lines themed around sushi, as you might guess. The game has a wild, a scatter symbol, free spins with 5 options, and the Much More Sushi feature. 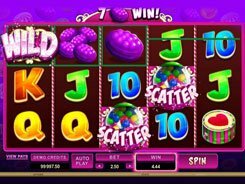 A coin size is adjusted from a penny to $0.2, with up to 20 coins allowed per line, so a total bet ranges from $0.2 to $100 per spin. 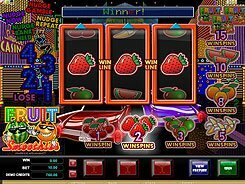 A free spins feature unlocked by three or more scatters enables you to choose the number of free spins (8 to 16) and a multiplier; the more spins you take, the lower the multiplier value. During the round of free spins one of the sushi symbols will act as a wild. 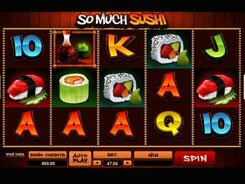 The most interesting and unique feature about the slot is that sushi icons which create a winning combination can split into 1 to 5 identical symbols. So hitting three let’s say Nigiri sushi on the payline means you can get a winning combo of up to 15 Nigiri sushi. 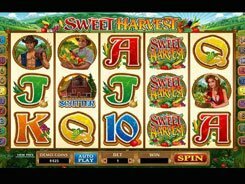 The best award up for grabs reaches a massive $64,000 in a normal game and free spins.